In October 1998, Exodus Homes opened a five-bed home in the Highland neighborhood of Hickory in response to needs identified by the 1997 Catawba County Faith Community Task Force on Poverty. They determined that homelessness was primarily caused by laws and policies that deny housing and employment to people recovering from addiction or incarceration. Hopeless and desperate, they often relapse and return to criminal behavior to survive. Without help, it is almost impossible for them to get back on their feet again. Meeting these urgent needs led to phenomenal growth in the program. By 2007, we had purchased six public nuisance properties, renovated them, rented others, and had 97 beds. During the recession, we had to downsize to survive because our primary source of funding was resident fees paid from their wages earned by employment in the community. Founding Executive Director Rev. 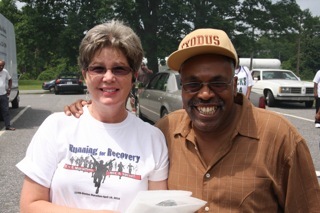 Reggie Longcrier and Founding Assistant Executive Director Rev. Susan Smith Walker were laid off twice during the recession, and worked without salary both times to save the agency. Today we are stable and have 60 beds in six locations – two apartment complexes and two houses in the Ridgeview neighborhood, one house in the Highland neighborhood, and one house in the Kenworth neighborhood. 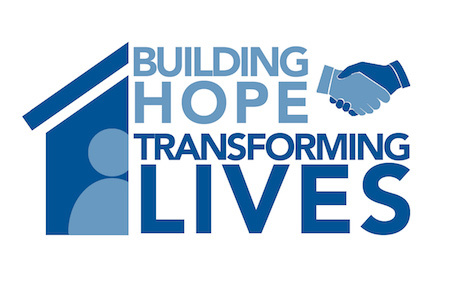 In the past 20 years, we have served over 2500 men and women in our housing program where we offer a comprehensive array of services including recovery classes, vocational training, employment, transportation, case management, access to community services, education, leadership development, volunteer experiences, and opportunities to grow spiritually. Exodus Homes has won many awards for excellence and has earned a national reputation for innovation. We have reduced prison recidivism for our residents by up to 44%. The loss of jobs in our area during the recession led us to create our own enterprises called Exodus Works to provide vocational training, create employment opportunities, and generate revenue to support Exodus Homes. In Exodus Works we provide insured transportation, moving, landscaping, painting, cleaning, general labor, hauling, and odd job services. In our thrift store we sell surplus donations. We have partnerships with Vanguard Furniture and Mitchell Gold + Bob Williams, Inc. where we place Exodus Worker trainees in their businesses with opportunities for full time employment after a 90-day to six-month trial period. The net profit of Exodus Works is now the primary source of funding for Exodus Homes. Exodus Homes and Exodus Works are peer led programs. The organization has always been primarily operated by resident volunteers or graduates of the program. Drug and alcohol addiction continues to be a serious problem in our community. The opiate abuse epidemic and the impact of mass incarceration are serious problems in our country. People recovering from addiction and incarceration need the services of Exodus Homes today as much as they ever did, or more. 446 people returned to Catawba County from state prison in 2017. 1362 were on probation and 274 on parole on 12/31/17. The Hickory Police Department reports that 1,637 drug related criminal charges were made in 2017. They estimate that 90 to 95 percent of all crimes in Catawba County are related directly or indirectly to drugs, and their drug investigations have risen over 900 percent in the last 2 years. Many of these people spent time in jail and did not have money to make their bond, losing their jobs if they had one and their homes. We need to expand our bed capacity to serve more homeless recovering people. The need is very urgent. The five housing properties owned by Exodus Homes are old structures that were in very poor condition when we bought and renovated them. Many urgent repairs are needed to protect our investment and insure sustainability in the years to come. Many HVAC units break down on a regular basis and need replacement. Corroded cast iron plumbing is rusted and leaking onto electrical wires which could cause a fire. Broken steps and sidewalks are potential trip hazards. Water run off problems flood units in heavy rain. Wooden railings, porches, soffits, and fascia boards are rotten and need replacement. Appliances to store donated food are very old and leak. Donated washers and dryers often break down. To expand bed capacity we propose to move most of the offices of Exodus Homes out of the housing program so that those units can return to residential use. Relocating the offices of four Exodus Homes’ staff and other plans will allow us to increase bed capacity 20% by adding fifteen beds in the supportive housing program for a total of 75. We propose to return the four offices back to residential use. This will require adding one large handicap accessible bathroom with a stall, urinal, and shower, plus a smaller bathroom with a toilet and sink. A small office area will remain for supervision purposes. 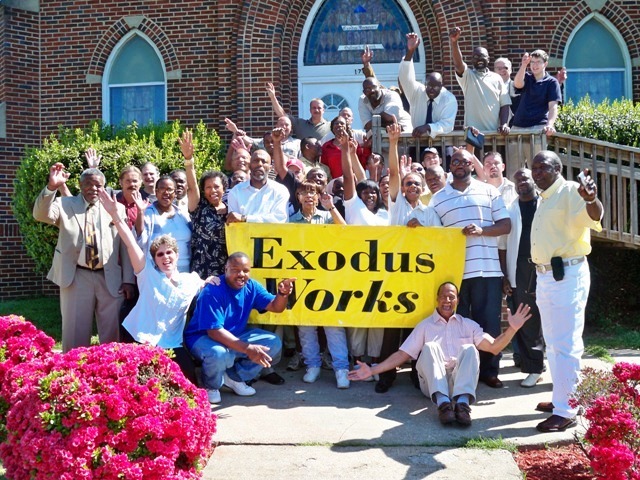 Exodus Works needs to expand to serve more residents as the bed capacity in Exodus Homes expands. We will need more tools and equipment to allow multiple work crews to be dispatched simultaneously. Much of our current equipment is worn and needs replacement for safety and efficiency. We need lawn mowers, landscaping equipment, moving supplies, furniture refurbishing tools, general repair tools, more work vehicles. and other supplies to increase our capacity and revenue generation. 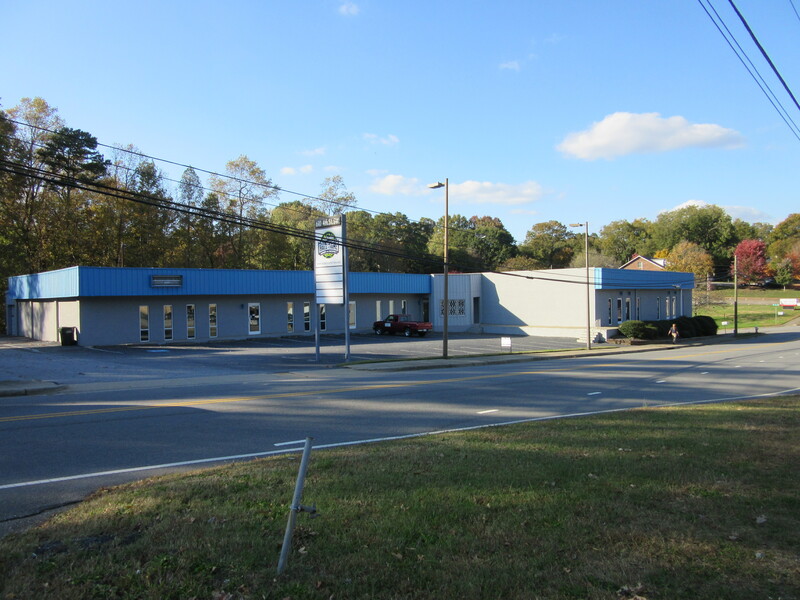 Exodus Works currently has the offices for the vocational training program and the thrift store in the same warehouse location on 1st Ave SW in Hickory. Exodus Workers coming in and out of the store confuses customers and takes away from the pleasant shopping experience we want to offer. The building does not have air conditioning or heat and the roof leaks in many places, decreasing customer traffic in the store. It is an old cinder block warehouse with one bathroom that is not handicap accessible and the sink cannot be used. To increase sales in the thrift store and expand the services of Exodus Works for fifteen more residents at Exodus Homes, we need to separate the store from the offices of Exodus Works. Exodus Works must have transportation to provide the services we offer and transport the workers to and from the job sites. 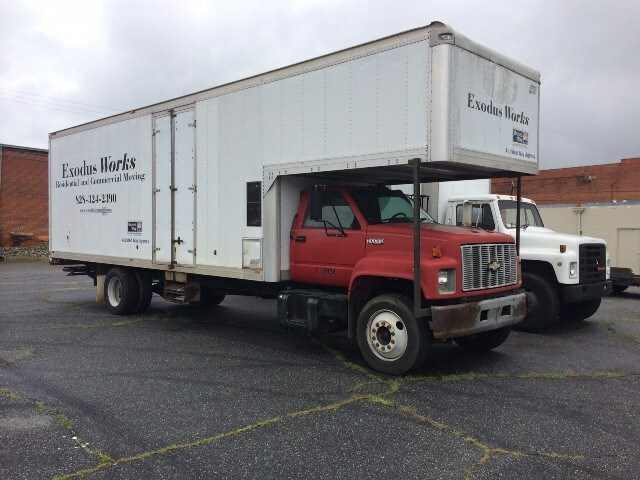 We use older model donated work vehicles such as large and small box trucks, pickup trucks, and a landscape trailer. Only one truck has a hydraulic lift. We need a few more vehicles to keep up with the increase in sales and the proposed expansion of beds at Exodus Homes. We propose purchasing newer model vehicles for use in Exodus Works: (1) 15 seat passenger van, (1) 26 Ft. Box Truck with Lift gate, (1) Flatbed Landscaping Truck, (1) 16ft. Box Truck with Lift Gate, and (1) Crew Cab Pick Up Truck. We have purchased a 12,000 sq. ft building near the campus area of Exodus Homes at 610 4th St. SW to relocate the offices of Exodus Homes, the offices of Exodus Works, and the Thrift Store. It is an ideal location with enough space to meet these needs plus provide office space for the Veterans Helping Veterans organization, and other nonprofits. The estimated cost to purchase and upfit this building is $376,000.00. The cost of Exodus Homes property improvements is $415,842.00 The cost for additional vehicles for Exodus Works is estimated to be $169,893.00. The purchase of Exodus Works equipment and tools is estimated at $36.620.00. The total goal for our capital campaign projects is $1,057,355.00. We have contracted with Hewett Consulting LLC, the national nonprofit consulting firm based in Charlotte, to guide our capital campaign. This is the same firm which conducted our feasibility study in 2017. Their feasibility study was completed in June 2017, and they determined that we could reasonably expect to raise between $850,000 to $1,000,000. This was a “conservative projection” based on Exodus’ donor giving profile, the identified needs, and the self-selected giving levels identified in the feasibility study.